Villa Grace, Stunning villa with 3 bedrooms, 2 bathrooms private heated pool and hot tub, Free WiFi, aircon and UK Sat TV. All the ingredients for a relaxing Holiday in the sun. 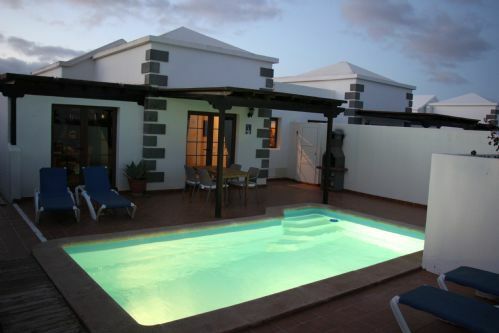 A nice 3 bedroom, 3 bathroom villa close to resort centre of Costa Papagayo with amazing mountain views and complimentary WIFI, a private heated pool, fully-equipped kitchen and BBQ area you'll find everything you need for a perfect Lanzarote family holiday. 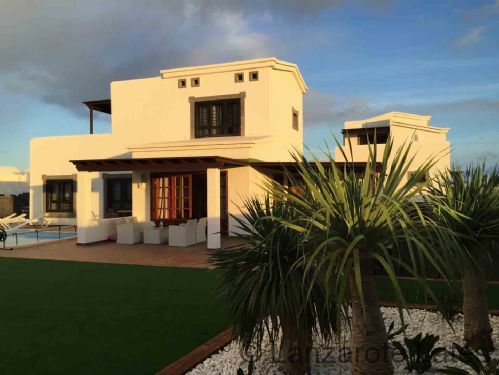 Villa Samuel is well positioned on the development of Parque Del Rey. The villa has a large garden at the front and an extended patio area at the rear with lots of room around the electrically heated 8x 4M pool. 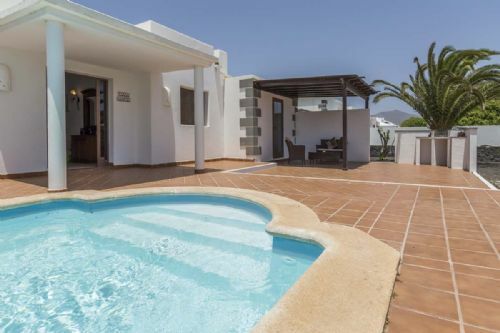 With a fully equipped kitchen and a private sunbathing area this villa is a real hit!